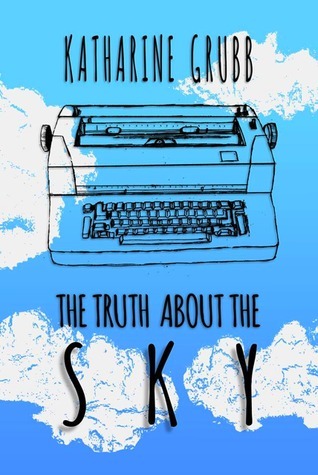 Katharine Grubb, author of Write a Novel in 10 Minutes a Day, released a new book. 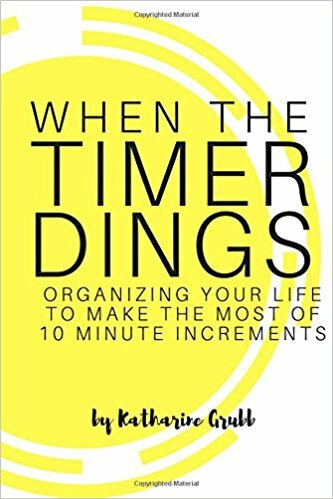 Here’s my review of When The Timer Dings:: Organizing Your Life To Make The Most of 10 Minute Increments. It’s not a book you’ll toss aside discouraged because you can’t make her system work. 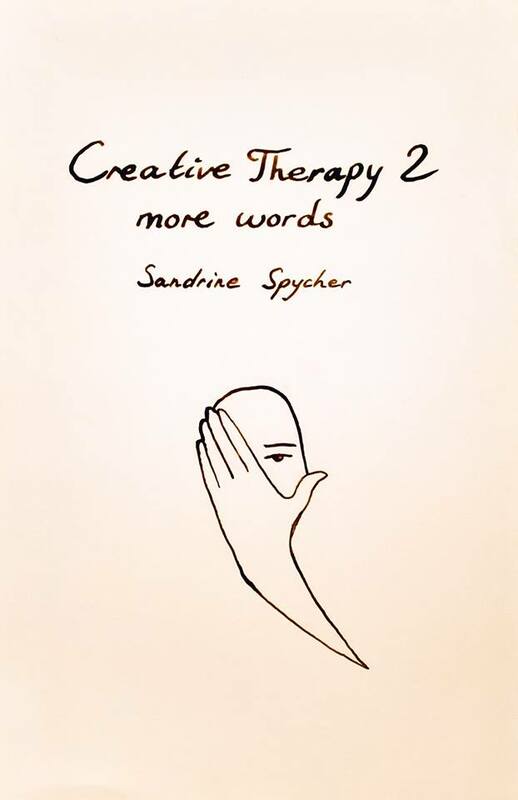 The book is encouraging and prompts you to look at your own motivations. I recommend this book. What happens when you can’t say goodbye? As a reader, have you ever reached the end of the book and hesitated to close the back cover, not ready to say goodbye to the characters in the story? I’d love to hear what books have provoked this reaction. What do you do? That happened to me writing my romantic suspense novel, Finding Claire. It started as a seed of a plot idea as I drove through the Texas Hill Country. The thought, Someone could get lost out here, burrowed into my imagination and blossomed into a plot. At first, I struggled with creating the right characters. Alex came into focus once I had his name, Alejandro Ramirez. Rainy took shape as I wrote her scenes. After hours and hours with these and the other characters, I was nowhere near ready to say goodbye to them when a solid draft of Finding Claire was finished. 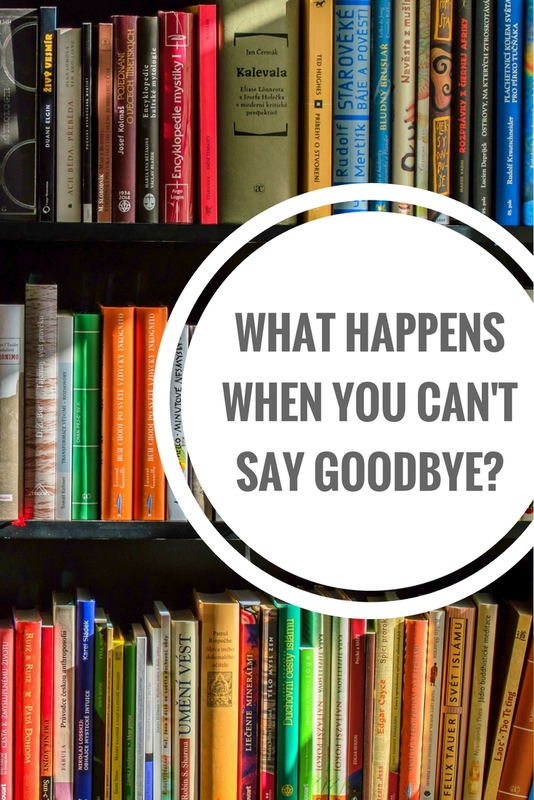 What happens when you can’t say goodbye to your characters? My solution: the Hill Country Secrets series was born. While Finding Claire was with beta readers, I penned what I thought would be the second book in the series and a novella. I considered putting the novella out as an extra, but there were plot holes to be fixed. As I remedied what was broken, added description, and learned more about my secondary characters, that novella morphed into a full novel, with letters for the background story, a little more romance, and a dose of danger and suspense. It became Book Two. And I am happy to announce that the novella-turned-book-two finally has a title and a release date. STOP READING HERE IF YOU HAVEN’T FINISHED FINDING CLAIRE AND DON’T WANT SPOILERY INFO. One lapse in judgement can ruin forever. Time doesn’t heal all wounds, but it sometimes delays retribution. 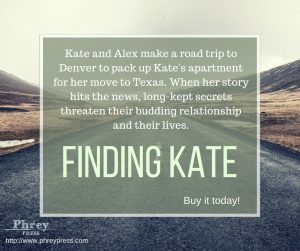 After learning she was kidnapped as a child, Kate is eager to move to Texas. Alex—excited about their newly budding relationship—suggests a road trip to Denver to pack up her apartment. When her story hits the 24-hour news cycle, long-kept secrets threaten Kate and Alex’s happily-ever-after and their lives. Kate wants to start over in the house her mother loved. 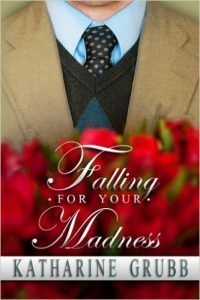 Alex wants time for the relationship to deepen, but when the unthinkable happens, he realizes love rarely shows up alone. In a hunt to find Kate, Alex lands at her laptop, searching. Can he keep her alive? Can he keep her at all? For those wondering what happened to the book I thought would be book two, it is in revisions. Book Three will be released later this year. 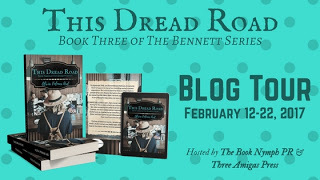 Last year, I had the opportunity to beta read Olivia’s book, This Dread Road. I loved it and jumped at the chance to be a stop on the blog tour. <p>The lives of these two women, decades apart but uncannily similar, finally intersect one fateful night. With broken hearts and hope for the future, will they find the answers they’re looking for? As he spoke, Annemarie darted through the door, red—faced and panting. “So sorry,” she mumbled to the professor, who either didn’t hear her apology or refused to accept it. The weight of fifty—six pairs of eyes bore down on her shoulders as she stared up the stacked rows, hoping to find an unclaimed desk. In her desperation, she started up the nearest set of stairs. There had to be an empty seat near the back, right? Stomach clenched, she grasped the handrail and continued her ascent. What would she do if she couldn’t find one? Susan. None of this would have happened if it weren’t for Susan. Annemarie had been happy to grab lunch at the cafeteria after she and Susan left their biology class, but she’d let her roommate talk her into making a quick trip into town instead. She’d sworn up and down they would make it back in time for their one o’clock classes. But the deli was busier on the first day of class than it had been over the summer. They stood in line for almost half an hour and didn’t receive their food for another fifteen minutes after that. Annemarie didn’t even know what her sandwich had tasted like, she’d had to eat it so quickly. She’d spent the next ten minutes running full tilt back to campus, hoping their professors would be forgiving. Down below, the professor cleared his throat. Annemarie’s face turned an even brighter shade of red. Maybe her mother was right. Did she really need to take this class? Hurtling down the stairs and running out of the lecture hall seemed more appealing by the second. But just as she decided to succumb to the temptation, she found what she was searching for: an empty seat. It was farther up than she would have liked, the very last desk in the very top row, but it was available. With a sigh of relief Annemarie hopped up the last few steps and scooted behind those already seated, ignoring their grumbling about inconsiderate people. When she reached the end of the row, she tapped the shoulder of the boy—no, man—sitting next to the empty desk. She slid behind the desk and tucked herself against the wall, willing herself to be invisible. Keeping his eyes on Dr. Craig, the man beside her nodded but said nothing. He met her eyes with a heavy—lidded stare before returning his attention to the front of the classroom, again saying nothing. His jaw stiffened, and was it her imagination, or was his hand twitching? When it became obvious this was the only answer she could expect from him, Annemarie leaned back in her chair and tried not to let it bother her. Class had already started, after all—she was the one being rude. Besides, what did it matter? She was there to learn about philosophy, not moon over some guy. But as Dr. Craig droned on about fallacious reasoning, the nature of reality, and the existence of God, Annemarie couldn’t keep her mind from wandering back to her handsome seatmate. With ten minutes left, Dr. Craig said, “I think I’ve covered everything necessary for our first full class meeting, so I’ll give you an early dismissal today. Don’t get used to it, though. Take a copy of the syllabus on your way out, and please prepare to discuss chapters one and two of your textbook for Wednesday. And be on time,” he added, glaring up at Annemarie. Without a word, the man next to her stood, stepped behind her, and slowly made his way down the steps. He took intermittent pauses to allow others to pass him, but he spoke to no one. People parted around him and rejoined on the other side. The guys seemed to size themselves up against him, while the girls ducked their heads and gave him a shy smile, but he didn’t seem to notice any of them. 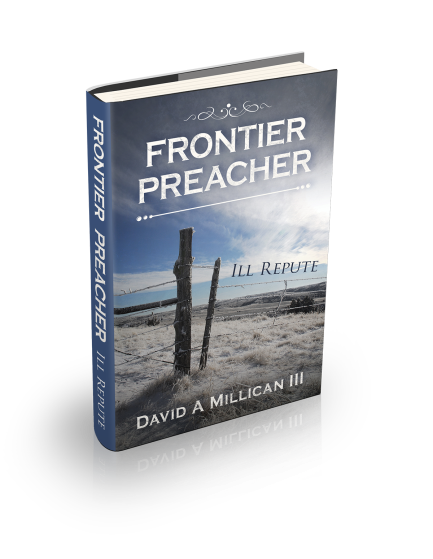 When he reached the bottom of the stairs and released his grip on the railing, he limped across the narrow stretch of floor between the lectern and the first row of seats. She couldn’t help but wonder what had happened to his leg. Before she knew it had happened, she was the last person in the classroom other than Dr. Craig. She blushed and gathered her books, chiding herself for her distraction. Why should she care about this person she’d only just met? He didn’t care about her—he’d made that abundantly clear. She should just put him out of her mind and focus on school. Even so, for the rest of the day, she couldn’t shake the memory of his eyes—shielded, mistrustful, and darker than a thundercloud. Olivia started writing creatively at eight years old. During middle and high school, she attended several writing conferences. Her short story “By Its Cover” placed first in its division in the 2008 District III Alabama Penman Creative Writing Contest. 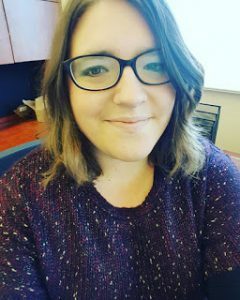 She earned her bachelor’s degree in history from the University of Montevallo in 2012, married in 2013, and published her first novel in 2014. She received a Readers Favorite five-star review for her holiday novella,’Tis the Season, in 2016. Remember as a kid (or maybe as an adult) when you learned to swing without being pushed? The hardest part was at the beginning. You’d inch back to get a little momentum, then swing forward, legs out. At the furthest point forward, you buckled down, tucked your feet back, and pulled. With each iteration, you gained speed and height. When you reached full swing, all the initial hard work paid off as you felt the wind in your face, like you were flying through the air. Over and over again. This year I’m trying something new. 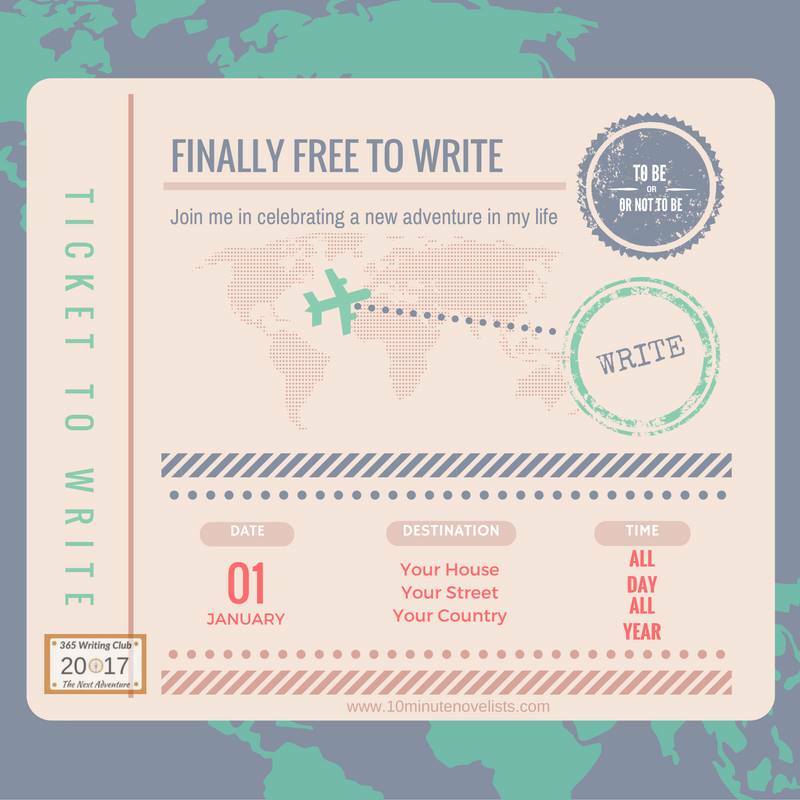 I committed to write every day, at least 300 words. I anticipate that all year will feel like I’m pumping my legs, out and back, trying to get that swing into motion. Maybe some of those words will be woven into more frequent blog posts. Some (Lots actually!) will go into books two and three of the Hill Country Secrets series. It’s going to be an exciting year. I’ve logged words every single day so far. Feel free to ask me about my adventure. If someone gave you a ticket to do something every single day, even for just ten minutes, what would it be? 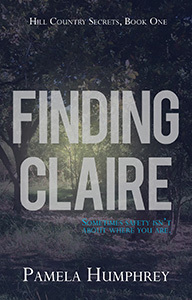 Tomorrow is the release of Finding Claire, my romantic suspense novel. A blend of romance, mystery, and genealogy, the book tells the story of a woman kidnapped in January 2016 and the story of Emma in the summer of 1983. It earned 5 ★★★★★s from Readers’ Favorites! Read the review written by Jack Magnus. Jennifer at Dandelions Inspired rated it 5 ★★★★★s on Goodreads and published this review. This mystery/suspense/romance was just what the doctor ordered today! “Finding Claire” is the upcoming release from author, Pamela Humphrey, about a young woman who … Read more. Maureen at MoMo’s Book Diary rated it 5 ★★★★★s. MoMo’s Book Diary highly recommends this thrilling novel as a spellbinding 5 star read. … Read more. 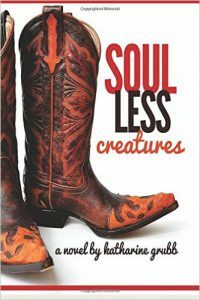 Kaytlyn at The Bohemian Bookworm rated it 5 AMAZING ★★★★★s. I absolutely LOVED this book! I knew after reading the synopsis that this book was right up my alley. Humphrey creates a beautifully enchanting mystery that … Read more. You can also read what people are saying about Finding Claire on Amazon and on Goodreads. Huge thanks to the bloggers and ARC readers who took the time to read Finding Claire. I am so excited for tomorrow! You are all invited to The Twig Book Shop, located in the Historic Pearl, on October 8th from 11 AM – 1 PM. 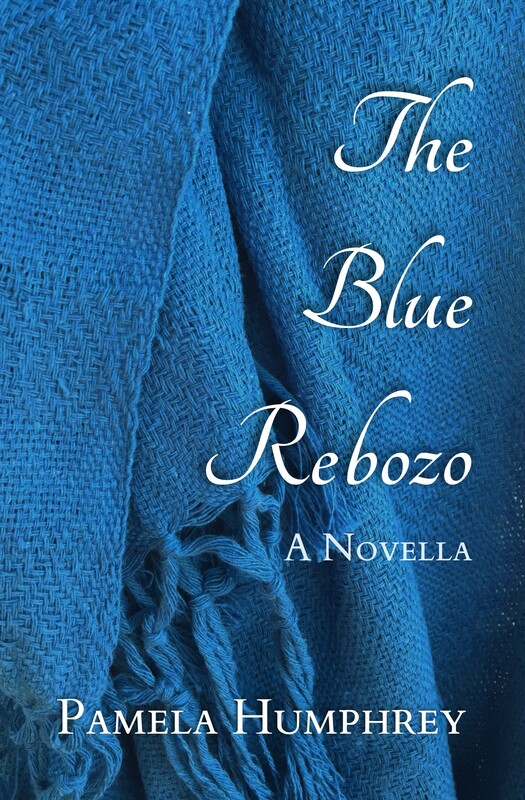 I’ll be signing copies of The Blue Rebozo. For more information, see The Twig’s event calendar or contact me. 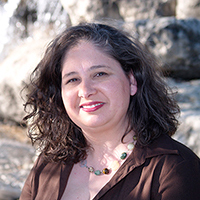 SAN ANTONIO, Texas, September 27, 2016 – Inspired by her genealogy research, Pamela Humphrey traced her deep Texas roots and penned the story of her ancestors in “The Blue Rebozo.” Weaving fact and fiction, she told the story of Petra Ramirez and her family. A history shared by many in South Central Texas, her family migrated to Guadalupe County, Texas, from Mexico after the American Civil War to work as sharecroppers. The family struggled to scrape out a living, endured hardships, but cultivated a sense of family that continued into subsequent generations. Her hope is that through storytelling, history becomes personal, giving current generations an enduring connection to their past. Set in Guadalupe County, Texas, the book focuses on the life of Petra Ramirez, but recounts the struggles and joys of several generations. The book signing begins at 11:00 AM on October 8th at The Twig Book Shop, located in the Historic Pearl.